आप haven't seen creepy yet.... I am not responsible for any nightmares this causes. This is the result of me getting set loose with the burn tool and the color balance settings in photoshop. 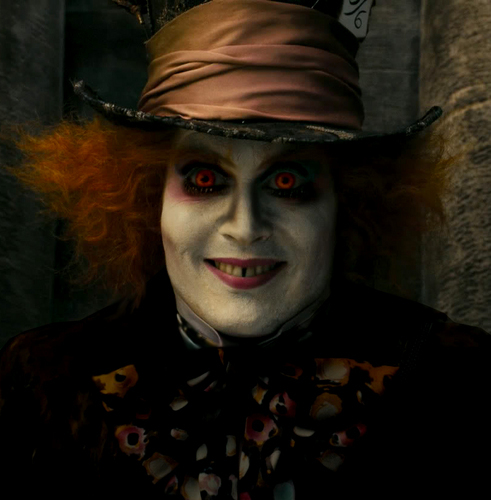 The result is what Tarrant would look like if he joined the Volturi.. HD Wallpaper and background images in the ऐलिस इन वण्डरलैण्ड club tagged: alice in wonderland tim burton johnny depp alice movie creepy mad hatter tarrant. Wow... just - wow .